Fremont Union High School District ADULT SCHOOL will present a workshop on two different dates to give you information about your options related to education, careers, and job placement help. Staff will work with you to recommend the best options to meet your needs and goals based upon assessments and conversation. Join us today, inside the Vallco Mall 10123 North Wolfe Road, Suite 2085, Cupertino, CA 95014. Bright Beginnings Preschool and Parent Education Program remains at its current location at 591 West Fremont Avenue. 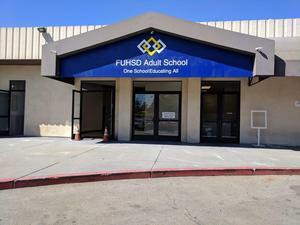 We are moving the FUHSD Adult School into a new campus inside the Vallco Mall. Our office has closed and will reopen Monday, June 11th at 10123 North Wolfe Road, Suite 2085, Cupertino, CA 95014. Bright Beginnings Preschool and Parent Education Program will remain at its current location at 591 West Fremont Avenue. Online registration continues to take your summer registrations. However, our phone lines will be unavailable until Thursday, June 7th. International Day will be held on Saturday, May 5th from 10 - 1 PM in the Preschool Playground. Please attend an orientation session this Saturday at 10 am in Room 5B. Come find out more about the upcoming training class conducted by BOMA. Another opportunity to support the FUHSD Adult School's Student Scholarship Fund!! Be at Zanotto's Family Markets on March 22nd from 6-8 p.m.
Come find out about our upcoming Certified Nursing Assistant summer session. Meet the teachers, get detailed program information and pick up a registration packet! Are you ready for Pi Dayz- 3. 14 and 3. 15..? Come by our campus to see Academic Activities that incorporate a ‘pi’ theme. Pi Dayz schedule available in the Adult School office. Order form is available by clicking on Pi 2Days Event at the right or in the Adult School office. 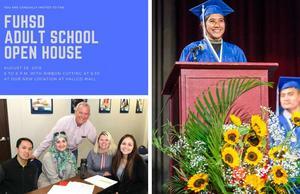 Help us help students! √-1 2^3 ∑ π !